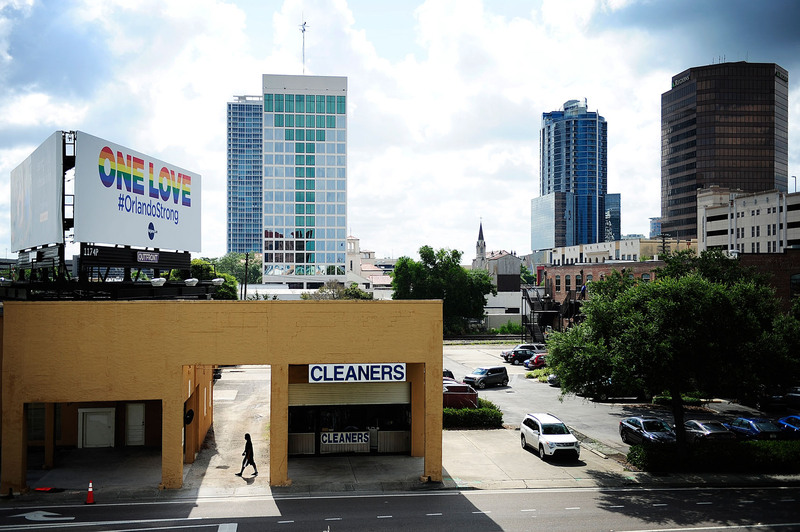 Mark Williams, 24, of Orlando passes near a billboard of unity near Garland Avenue and Robinson Street on his way to work Thursday, June 16, 2016 in Orlando. "It was terrible," Williams said. "Nobody deserves to be shot like that."